It’s no secret that millennials — young adults between 18-34 — are a hugely sought-after market segment. With upwards of 200 billion burning a hole in their pockets annually, winning their trust, and ultimately their business is a boon to any company. Every generation has had its share of quirks, but millennials require a different touch when marketing to them. They are savvy enough to know when they’re being pitched to, and they have built up a resistance to it. The crucial element that makes them so hard to win over is the same thing that will boost your business if you’re successful: they absorb and put out social signals like crazy. In other words, if you appeal to millennials the right way, you can get their business, as well as the added benefit of word-of-mouth on a potentially viral level. Here are five guaranteed strategies to get you started in the right direction. With that out of the way, start thinking about interesting ways you can use mobile to your advantage. Kiip, a “mobile rewards network” connects brands with users during “relevant moments” of online game play, essentially allowing a brand to sponsor an in-game reward. This type of seamless brand integration is a very welcome replacement for players being bombarded by intrusive web banners and is just the sort of thing that is likely to get the attention of millennials. The oversaturation of traditional advertising, coupled with a world of options at their fingertips has led millennials to essentially tune out unwanted interruptions. They seek out the information they need, and there is great marketing opportunity here. Rather than a traditional out-bound advertising model, you should be forming partnerships with online influencers that millennials already trust. Notable bloggers, podcasters, YouTube personalities, and Instagrammers are a fantastic way into the world of millennials. A recent study unsurprisingly found that younger consumers are heavily influenced based on the opinions of their peers and people they follow on social media. If you can successfully tap into that, you can build your word of mouth very widely, and very quickly. Just about every business has a social presence in 2016, but not everyone is using the right strategy to properly engage the millennial market. Just being in the social sphere isn’t enough — you have to effectively communicate with your audience. For instance, many successful Instagram campaigns regularly feature photos taken by their followers. 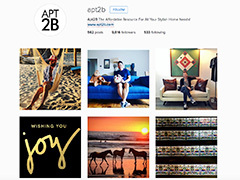 Take the example of Los Angeles-based furniture retailer Apt2B. They encourage their customers to snap pics of their purchases so others can see their sofas and accessories in-context in somebody’s real apartment. It’s a win-win proposition because new customers get a no-B.S. view of the product while the photo provider feels good about being seen and heard by the company. While millennials have tuned out traditional advertising, they still value any information they deem to be authentic. So rather than going in for the hard sell, try providing your millennial audience with content they can learn from, or be entertained by. The more they interact with this type of content, your message can slowly soak in, especially if they get the sense that your business shares their core values. As with any kind of campaign, you need to know your audience in order to speak their language. When millennials hear words that sound as if they could have come directly from their peers, (rather than from Madison Avenue,) they are much more likely to trust the message. If you can regularly provide this type of content that they not only respond favorably to, but would actually share online, it goes a long way toward building a real relationship with them. 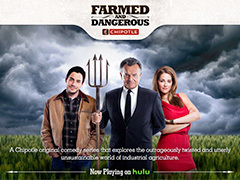 An excellent example of this in practice is Chipotle’s “Farmed and Dangerous” web series. Featuring a millennial sustainable farmer as the lead, doing battle against an ominous corporate food production company, Chipotle gets their brand messaging across in a subtle, entertaining way. Not only that, but it gets shared. A lot. More than consumers, millennials are interested in taking on the more hands-on role of co-creator. Traditionally, companies have simply created products, hoping consumers would buy them. But now, with so many options out there, it makes sense to inform your decisions based on input directly from your audience. It makes them feel empowered, and you have the knowledge that your product has a built-in fanbase. Take Lay’s “Do Us a Flavor” campaign as a prime example. For the past few years, they put out a call to their fans, asking them to suggest new flavor ideas, as well as vote on the winners. By reaching out to your audience and allowing them to be a part of the product creation through contests or social media campaigns, you are involving them in the process. In turn, they feel a sense of ownership in the product, which leads to increased brand awareness and loyalty. And any campaign that results in “Southern Biscuits and Gravy” flavored chips is alright by me. 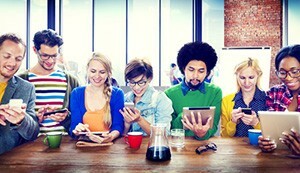 Marketing to millennials isn’t rocket science. In fact, it’s incredibly intuitive, because all it requires is a human touch. Talking at them doesn’t work nearly as well as authentically engaging with them. By offering authentic experiences, and engaging content, and by listening to what they’re asking for, you can empower them to discover your brand on their terms. I think we can safely expect this trend to continue with each subsequent generation, so the sooner we all learn the ropes of “new marketing,” the more successful we can all be. 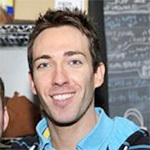 Wes McDowell is the creative director at The Deep End Design, a digital marketing and design agency in Chicago. Forever curious about all things related to design, usability, and internet marketing, Wes loves sharing his findings with anyone who will listen.